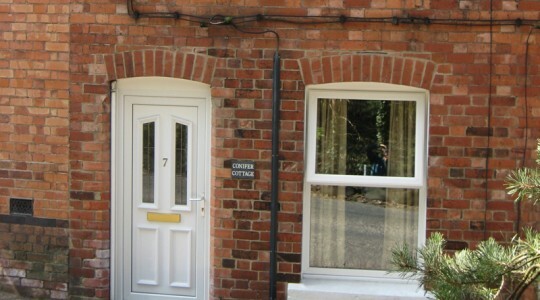 Conifer Cottage is ideally situated in a quiet road 5 minutes from the attractions and facilities of Ashbourne town centre. It is an excellent base to explore the countryside of the beautiful Derbyshire Dales and Peak District, as well as Alton Towers and Dovedale nearby. The cottage was built at the end of the 19th century and has been completely modernised providing comfortable, cosy accommodation. It is extremely well equipped. 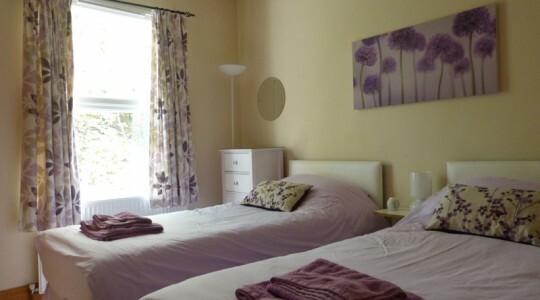 Conifer Cottage provides very comfortable two bedroom accommodation on two storeys, sleeping 4 guests. The ground floor has a lounge and a large kitchen diner, also a private courtyard garden at the rear. The first floor has double and twin bedrooms plus bathroom, newly refurbished in February 2018. We are open all the year and accept short breaks. Bookings can start on any day of the week. What our guests say …. 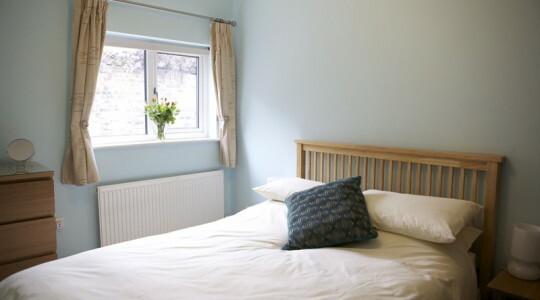 “Conifer Cottage is perfect” – If you are looking for a small, cosy, comfy, warm and extremely well equipped Holiday Cottage, which is spotlessly clean then look no further. On arrival we were delighted to find a fridge freezer which we hadn’t seen mentioned before our arrival. Very well situated to walk around delightful Ashbourne where we lost count of the number of cafes, restaurants, and pubs! A choice of Sainsbury or Waitrose within five minutes walk, and Aldia five minute drive away. We wouldn’t hesitate to recommend this cottage to our family and friends. “Excellent” – Conifer Cottage is an excellent cottage to rent for any kind of group. It is in an excellent location, spotlessly clean, fully equipped with everything you need and at a very affordable price. This property is a great crash pad for exploring the peaks as a base and it is also in a lovely town on the edge of the peak district national park should you wish to not venture far. The town has some lovely original features in terms of old pubs, galleries and furniture shops all in keeping with the period and area. The owner of Conifer Cottage could not be more helpful in communication before, during and after my stay. So the two things you ask yourself when you have stayed somewhere is a) would you recommend this place to others – yes 100% and b) would you book this again – yes 100%. Have no hesitation in booking here trust me. 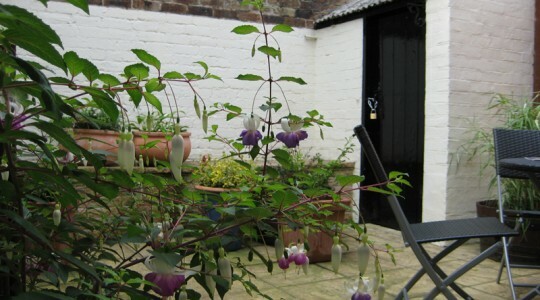 “Wonderful Find” – Another great stay at this lovely little cottage. Fab location with on street parking and well located for amenities. The Cottage is cosy and welcoming. A great find! “Perfect spot for a weekend” – This is a great property, very easy walk to the centre of town, free parking right outside the house on a quiet street. Would definitely recommend. “5* – beautiful cottage” – Everything you could ever need, a real home from home. Great location for loads of days out, only 20 mins from Alton Towers. Will definitely book again next time we visit that part of the country. 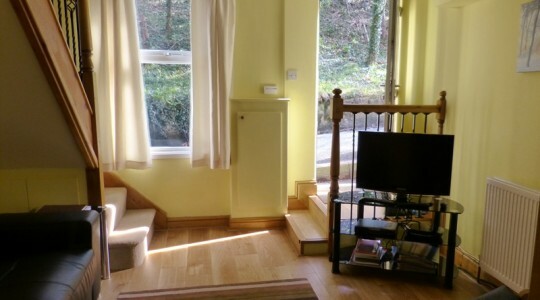 “Excellent cottage easy walk to town and shops” – Cottage location excellent. Parking outside cottage on road.. Cottage was clean and all facilities good. Courtyard garden ideal with table and chairs for four. Bedrooms were also clean with plenty of storage and room and the beds were good. Bathroom was excellent with a great shower. We would definitely stay again. 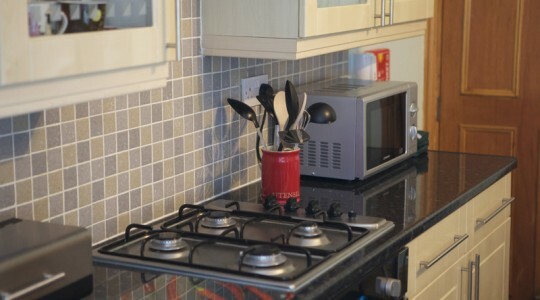 “Comfortable well equipped cottage with super kitchen” – Made to feel welcome on arrival with milk in fridge etc. Short walk into town and handy for nearby supermarkets (3) and Tissington Trail. Very much enjoyed our stay there. 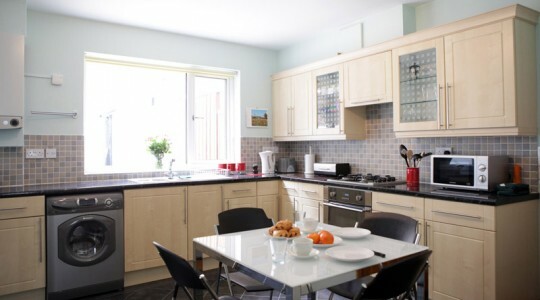 “Excellent, clean facility with large kitchen” – The house was clean, well equipped and looked very well looked after. Would definitely stay again! “Lovely Wee Gem” – A great find! Lovely cottage in excellent quiet location. Was very impressed with all the extras, including bathroom towels, iron, kids’ board games, washing liquid, etc. Very cozy with comfy beds. Will definitely return to this cottage if back in the area. Our only slight negative was the size of the living room to accommodate 4 adults, but the kitchen is a great size and has a 4-seater table. Great price paid too. Very happy. 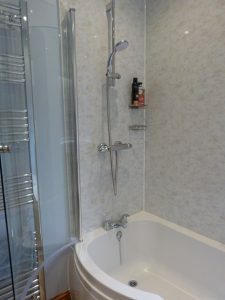 “Lovely little cottage” – Well equipped with an excellent hot shower. Very close to town centre where there are lots of nice restaurants and shops and in walking distance to the bike hire centre on the south end of the Tissington trail. There were only 2 of us but big enough for 4 comfortably. Would I recommend this holiday rental to my best friend? Yes. 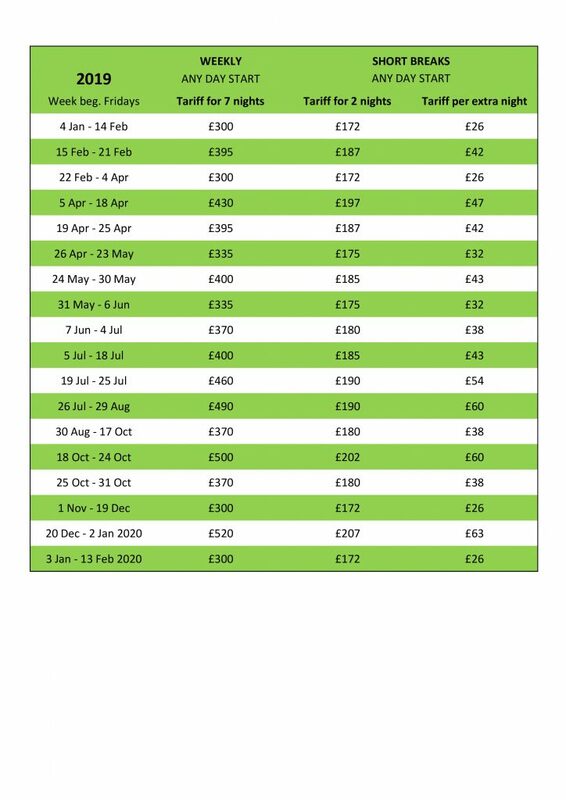 Full details can be found on the Conifer Cottage website here. Conifer Cottage comprises lounge and kitchen diner on the ground floor, also a small private courtyard garden at the rear. On the first floor are two bedrooms (double and twin) and the newly refurbished bathroom A travel cot is available but as space is limited this is by agreement only. The lounge has a wooden floor, the bedrooms and stairs are carpeted, the kitchen and bathroom have vinyl flooring, and the cottage benefits from gas central heating. The kitchen diner is spacious and fully equipped. Linen and towels are included. Conifer Cottage provides all you need for a relaxing holiday. It is in a quiet one way street with on street parking and is very conveniently situated for the town centre. Sorry, but we CANNOT ACCEPT PETS AS THE OWNER IS ALLERGIC TO ANIMALS and SMOKING IS NOT ALLOWED in the house. 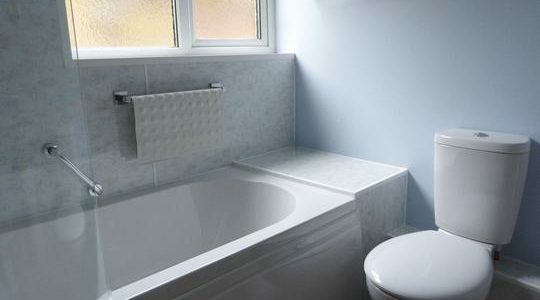 The bathroom has been completely refurbished in February 2018 with new P-shaped bath and mixer shower with screen door, basin and WC suite, wall panels and flooring. There is also a heated towel rail. Please note that weekly prices start on a Friday. To view availability, prices and make a reservation click here. Prices can be seen on the Pricing tab above or here on the Conifer Cottage website. To view availability and make a reservation click here. 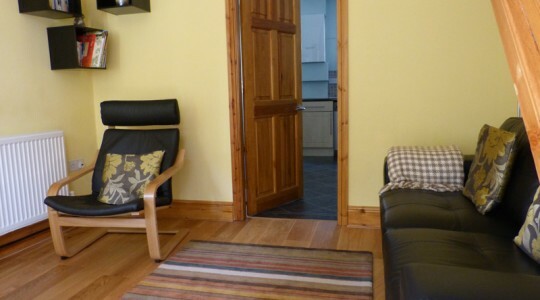 Conifer Cottage is 5 mins walk from Ashbourne Town Centre. Turn left out of the cottage, down Old Hill and across Station Road into Compton Street. Sainsbury’s is on the left and Waitrose on the right, into Dig Street and on to Church Street, St John Street and Market Place. Ashbourne is approached from the north or south on the A515 and from east or west on the A52. From east, west and south you enter on Station Street (A515) and turn right at traffice lights into Old Hill (the smaller of the 2 roads on the right). From the north you enter Ashbourne on Buxton Road (A515), follow left into St John’s Street (one-way), right into Park Road, right into Sturston Road and turn left at traffic lights into Old Hill (the smaller of the 2 roads on the left).